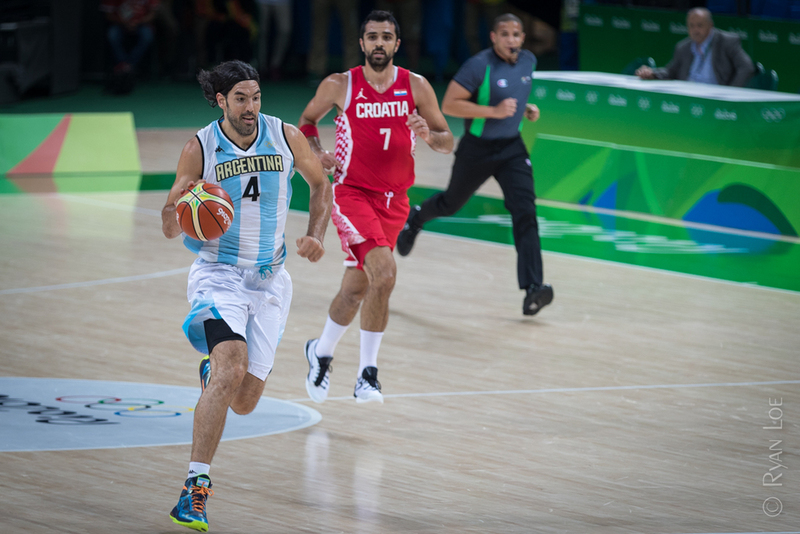 Being a Blazer Season fan I am used to a vocal and energetic home team crowd, but nothing prepared me for the Argentinean spectators at the Olympic Basketball matchup against Croatia. Besides being loud the entire game, they were on their feet, jumping, shaking the entire stands while waving their flag and chanting what sounded more like Futball songs than the typical basketball cheers of "Defense". 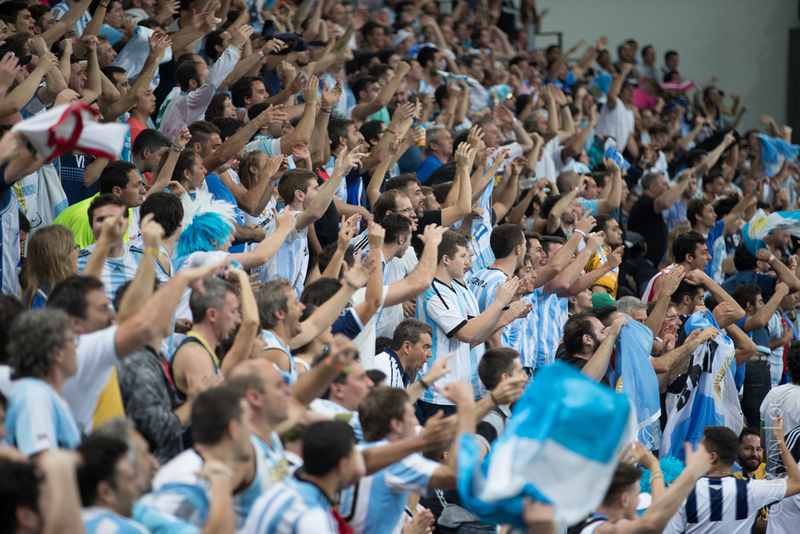 I think the entire country of Argentina may have attended the game. Each day it takes about 2 - 3 hours to commute to each event, with at least a two mile walk through security to get to the venues. Then a similar slightly shorter return commute to our temporary home. If we do two events per day we can see up to 6 hours of commute time and I tracked 17,000 steps on Sunday - while carrying 30 pounds of camera equipment. 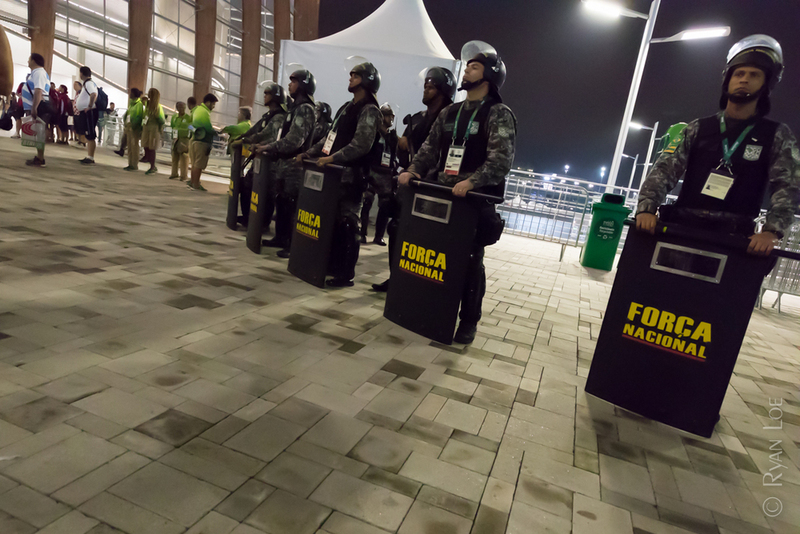 The Brazilian Military monitors the roads and walkways to the venues. They create a "path" that you follow to get to the actual Venue Security detail.